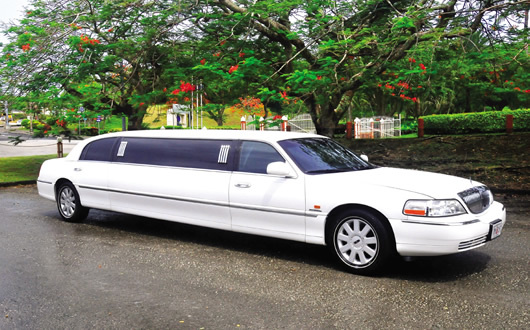 Lam Lam Tours & Transportation, we take pride of our vehicles so you can sit back, relax and enjoy our beautiful island. 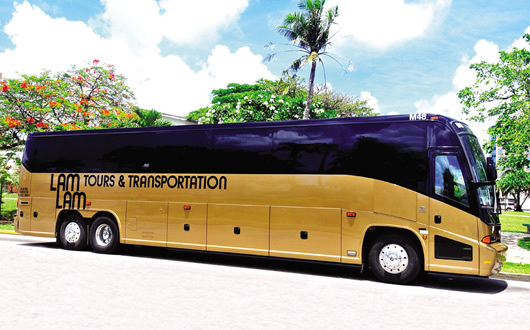 We give you the best we can offer, from the largest and newest fleet featuring our deluxe gold color MCI E4500 & J4500 Series Motor coaches. We come highly recommend locally and worldwide. Many local tour companies utilized our services such as Chinese New Year, Golden Week, Cruise Ships, MICE global companies, High Schools, and even famous clients. 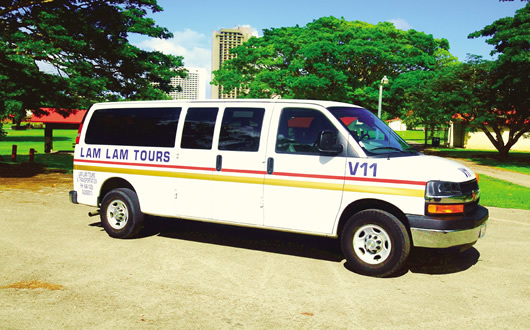 Also, don’t forget to enhance your stay in Guam with Lam Lam Tours, best optional tour Guam Island Tour. Lam Lam Tours & Transportation takes pride in quality and on time limousine and sedan transportation service, for Tourists and local residents as well. 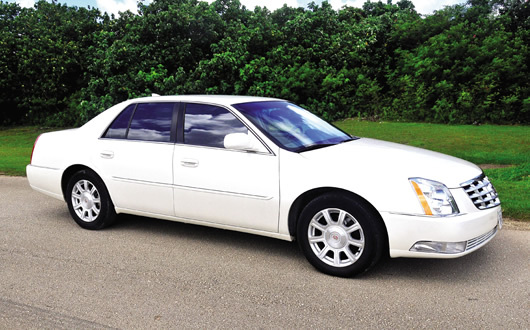 We have a fleet of Nine Lincoln Town Car Limousines and Two Cadillac STS Luxury sedans that Lam Lam Tours uses for its numerous high end clientele and for special events like weddings, sightseeing tours, airport transfers, or any optional tours that Lam Lam Tours offers. Lam Lam Tours & Transportation Provides professional and highly trained drivers that transport customers to their destination safety and on time.